No sooner than Krista got back from her Vegas trip, we were off to Pennsylvania to visit Larry's family. 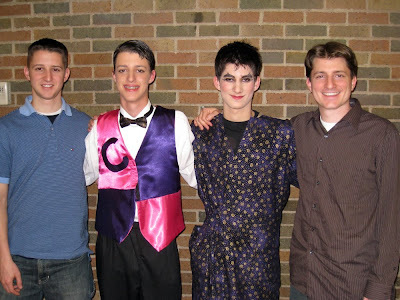 The main purpose for our visit was to see Larry's two youngest brothers (Jordan and Jamie) in their high school musical production of Thoroughly Modern Millie. 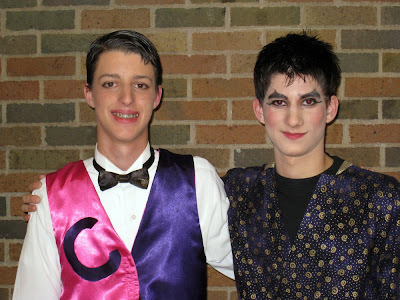 Here are some pictures from after the show. 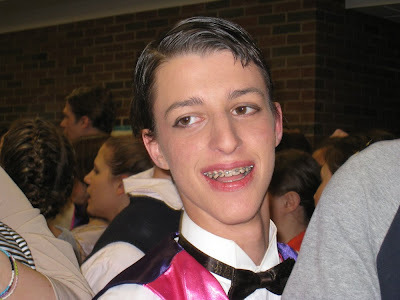 Jordan, a sophomore, was is the chorus. 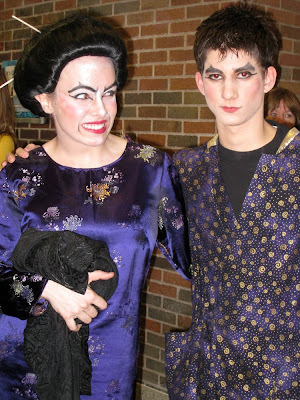 Jamie, a senior, played Ching Ho—one of the lead roles. In the musical, Ching Ho is a Chinese henchman trying to earn money to bring his mother over to the United States. So, all of Jamie's lines were in Chinese (there were subtitles above the stage). Here he is with his boss: the diabolical Mrs. Meers. Four of the five Furr brothers (Danny is on a mission in Canada). Larry's dad got us great seats (front row). So we were able to get this video of Jamie dancing and singing in Chinese. It was a great show and Jamie and Jordan were excellent.